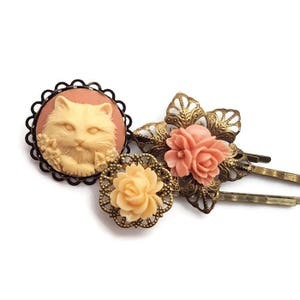 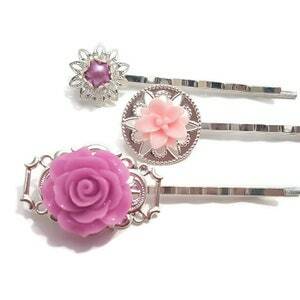 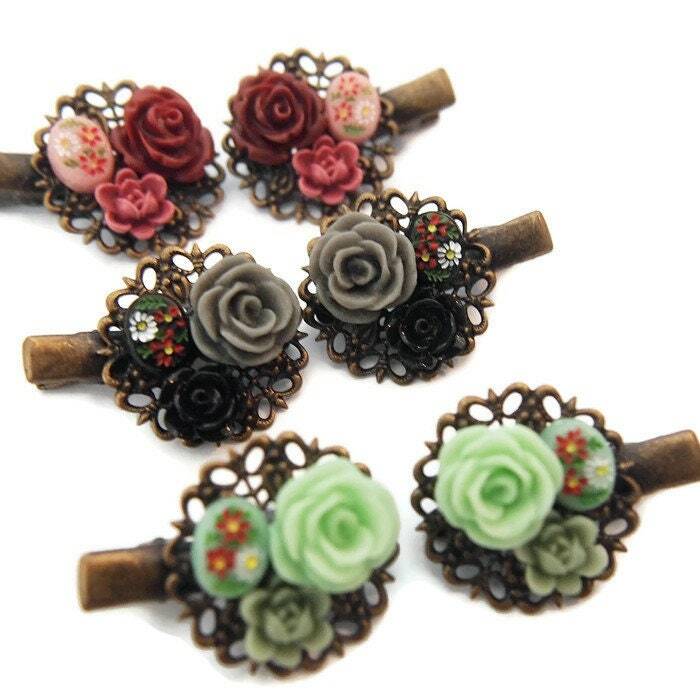 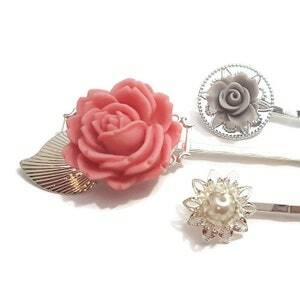 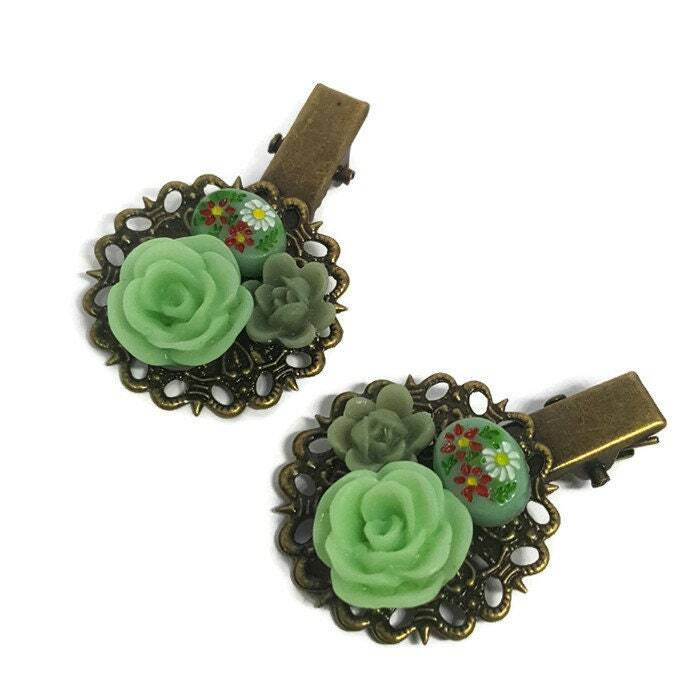 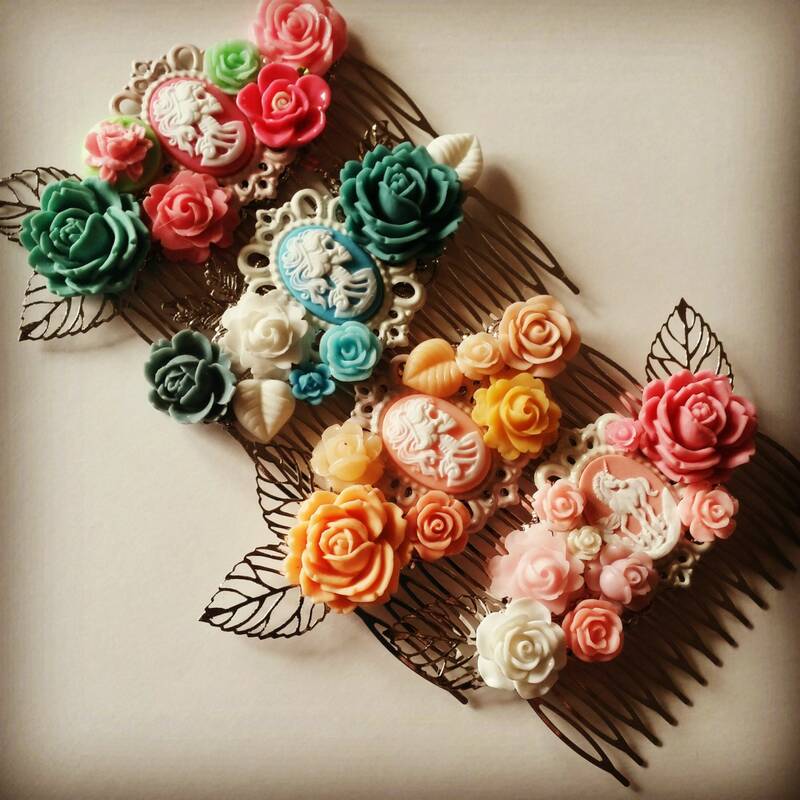 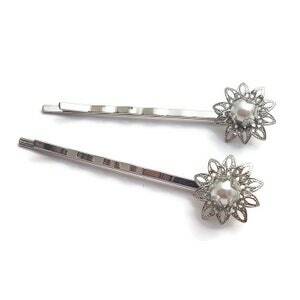 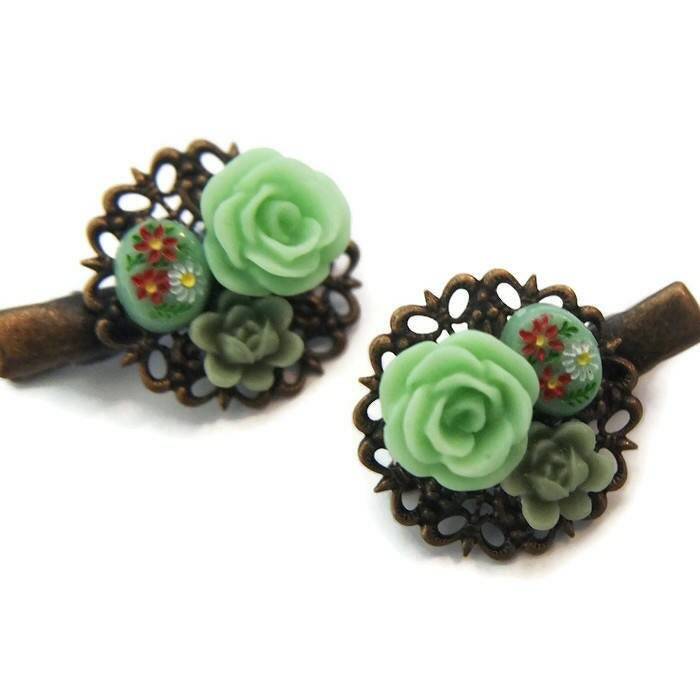 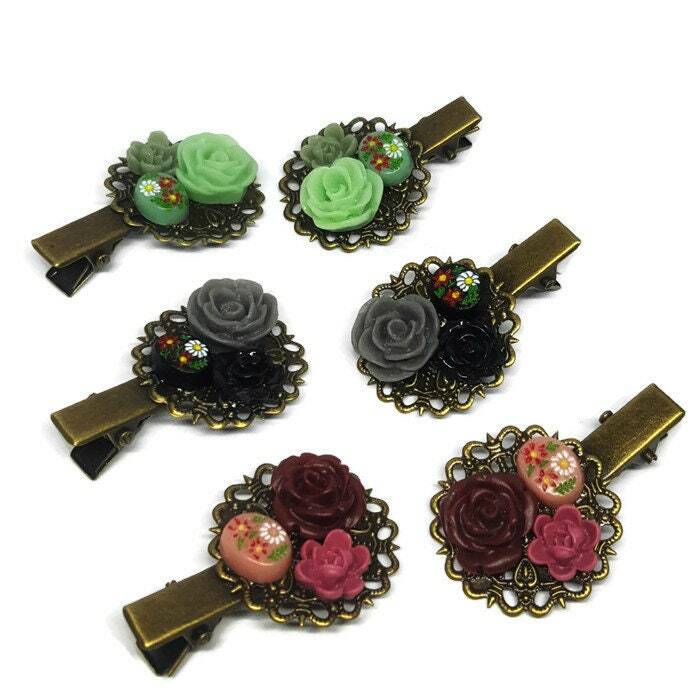 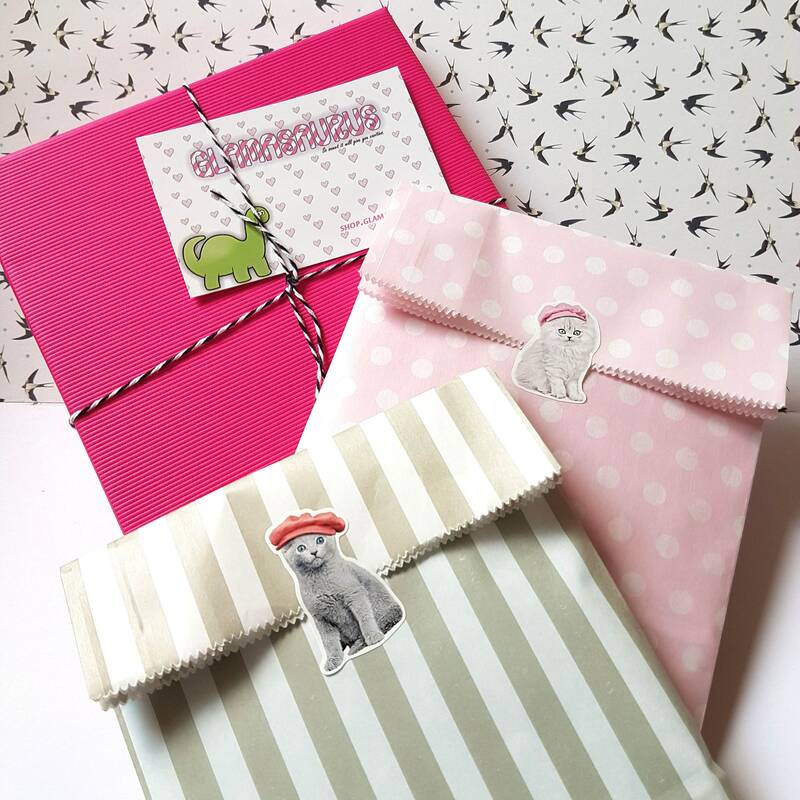 These super cute mini hair clips are so sweet. 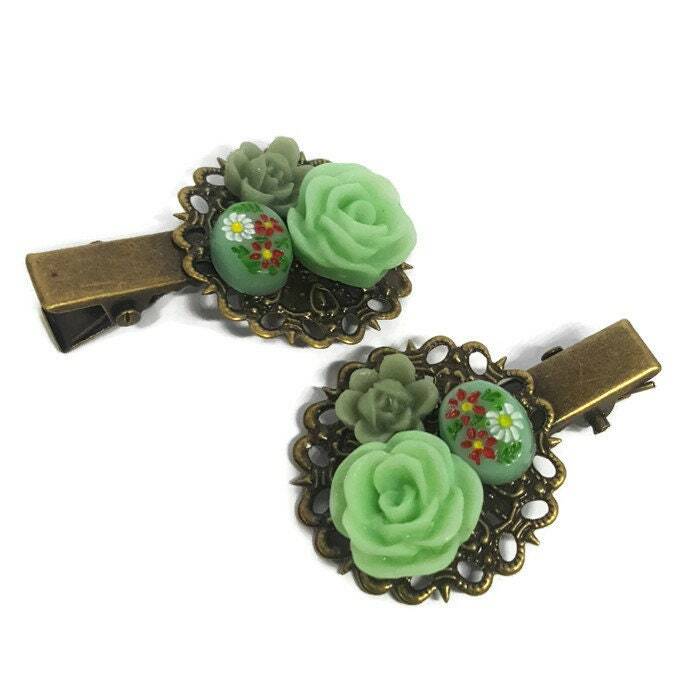 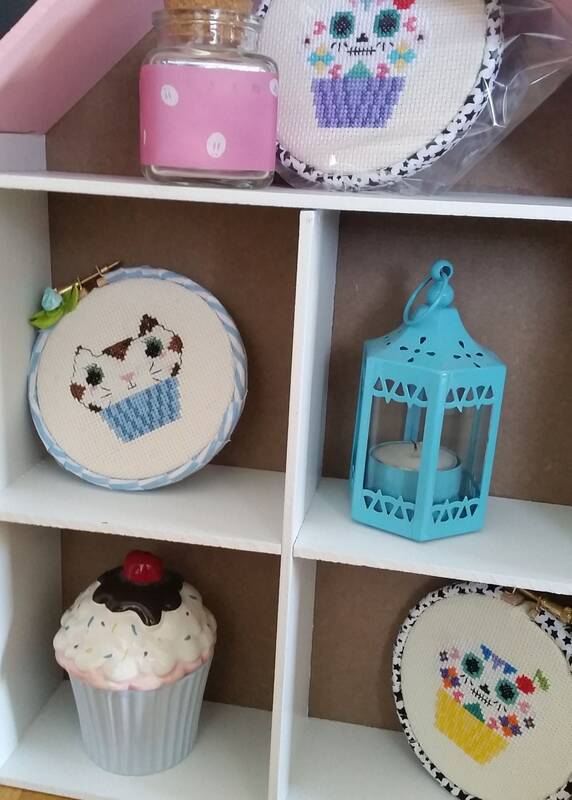 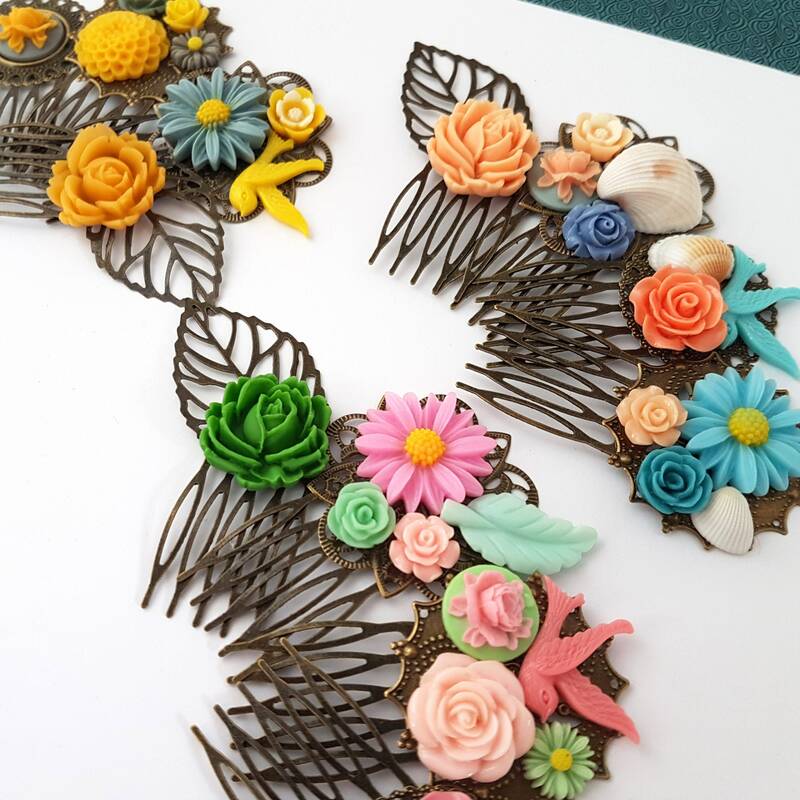 They feature little floral cameos with tiny little flowers. 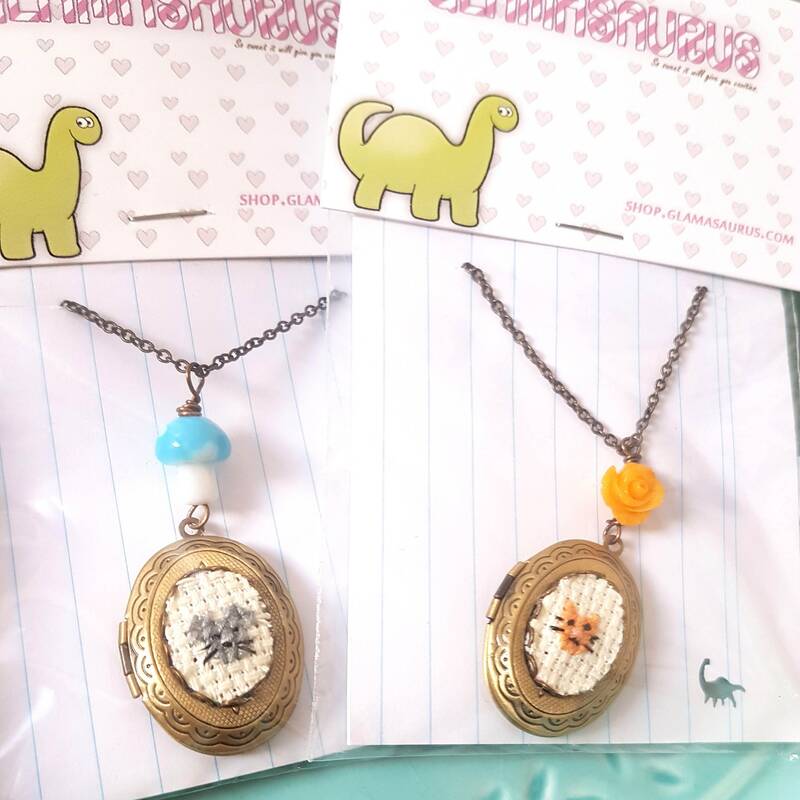 You will receive a matching pair.